Do you allow others to use your instruments & equipment? Do you rent out space for bands to practice? Do you provide vocal or instrumental lessons? Do you have private teachers who rent space from you to practice with their students? Do you host student recitals? Do you sponsor community events such as music festivals or performances? Do you offer recording studio services? Music studios can encompass all of these aspects and so much more. The unique combination of services provided by music studios requires customized insurance solutions, by experts who are familiar with the business. Your business may fluctuate with the economy. When the economy is strong, people will invest in music education and instrument lessons. When the economy takes a turn for the worse, suddenly music lessons fall into the “luxury” category. A robust economy may encourage a fledgling band to ramp up practices so that they can attempt to begin working professionally. However, when the economy turns, that same group often puts their artistic dreams on hold in order to find more consistent work that pays the rent. These fluctuations affect your business and can cause you financial hardships. As your business needs change, we have the capacity to change with you and to update your policy according to your needs at the time. Music lessons are a variation on a theme. There are many ways that students invest in lessons, typically tailored around the scheduling needs of their family. Music stores and instructors have developed multiple, creative ways to meet these needs in order to further music appreciation within their communities. We have multiple, creative ways to make sure you have the insurance protection that you need. Nerves. No matter how well prepared a student may be, recitals are always characterized by nervous children and even more nervous parents. The growing population of adult music students has been known to jump from “butterflies in the stomach” to bona fide stage fright, without warning. With a crowd of eager parents and grandparents anticipating watching the results of their investment, the tension and excitement in the room is almost tangible. Nerves can lead to mistakes, and not just on an instrument. If a visiting grandparent were to trip and fall, it is traditionally covered by your liability policy. However, with a traditional business owners policy, if a student is injured in the course of practice or performance, they may not be covered. Students often require special coverage. 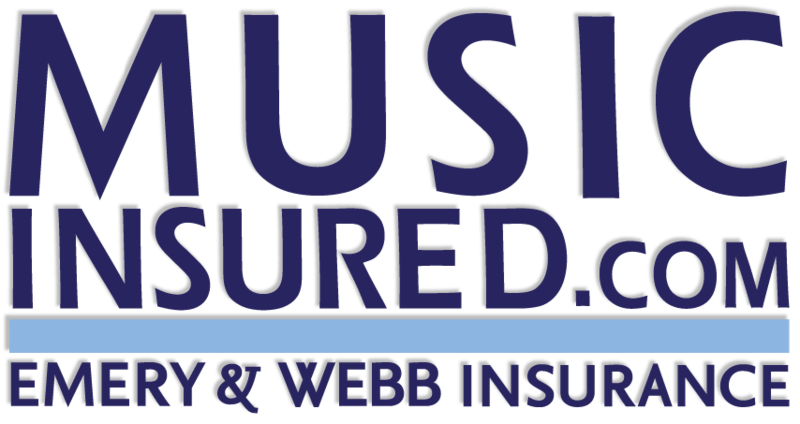 Be sure to speak with your licensed insurance professional to make sure that both students and their families are covered by your policy, if they were to sustain an injury at a recital. You do not want to find out after the fact, that it’s not covered.